This is, quite honestly, one of the most devastatingly beautiful books I’ve ever read. Hamid, writing with a voice that is at once staggering and loving, has crafted here a love story among ruins. We follow Nadia and Saeed — a young couple who meet in an unnamed hometown on the brink of violent chaos — as they fall in love in a world that has both lost its boundaries and taken the lives of their loved ones. When mysterious doors to other places start to open, and those that are desperate for better lives start to scramble through them, it seems that everyone in the world, including Nadia and Saeed, has become a refugee. 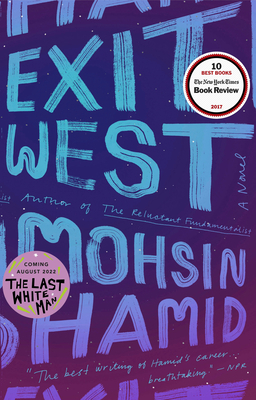 Exit West holds a story that is not only entirely present, but also stands a lone as a magical little book that teaches us how to be better, how to empathize, and how to love without boundaries.